I was reading a thread on WoodNET and it got me to thinking. 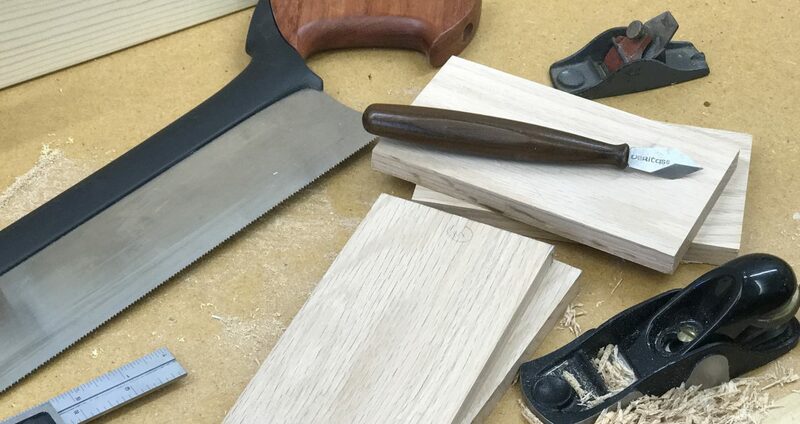 Even if you have a shop full of power tools, or “tailed apprentices” some might call them, hand planes have a place in your workshop. Some woodworkers use hand planes to get that glass-smooth surface after they’ve run the workpiece through their jointer and planer. Others just enjoy the process of working wood mostly by hand and will dimension and surface stock with hand planes. Jeff Gorman lives in the U.K. and has a great web site for woodworkers. He talks about dimensioning stock here. But I use hand planes for a lot of other things in my shop like smoothing an edge, leveling a joint, or adding chamfers, just to name a few. I have a nice collection of old Stanley planes, but when I recently built a dining room table, I needed a smoothing plane like a Stanley 4-1/2 that worked better than…well…my Stanley 4-1/2. So I recently ordered a Veritas Low Angle Smooth Plane from Lee Valley. I looked at Lie-Nielsen’s Low Angle Smoothing Plane, but decided that I liked the design and price of the Veritas plane better. I haven’t received my plane yet, so I’ve yet to see how well it performs. I’ll post an update after I’ve had a chance to use it in my shop. I’m real interested in hearing your opinions about the use of hand planes (and hand tools in general) in the shop. Do you use them at all? For what? Do you hate them? Want to learn more about them? Can’t see the reason to use them? Let me know your thoughts!